‹ Is Part of the New Testament Lost? It’s a good article which raises lot of questions. Thank you brother Ijaz for sharing. I really don’t understand those kind of christians who try to be historical and unbiased when they argue for their faith. I mean they inconsistent and incoherent. It’s like those who argue for Biblical inerrancy, yet they acknowledge that the bible got corrupted with a full mouth. The example we have at hand is similar! The argument of what so called “the minimal facts” is based on Paul’s account and if we neglected the authenticity of these sayings to Paul and what he he meant by these sayings, and if we neglected all the possible circumstances and scenarios we could conclude from Paul’s account, it would be still a big question which needs to be answered by christians! The question is what makes us belive that Paul was an authoritative man to begin with? 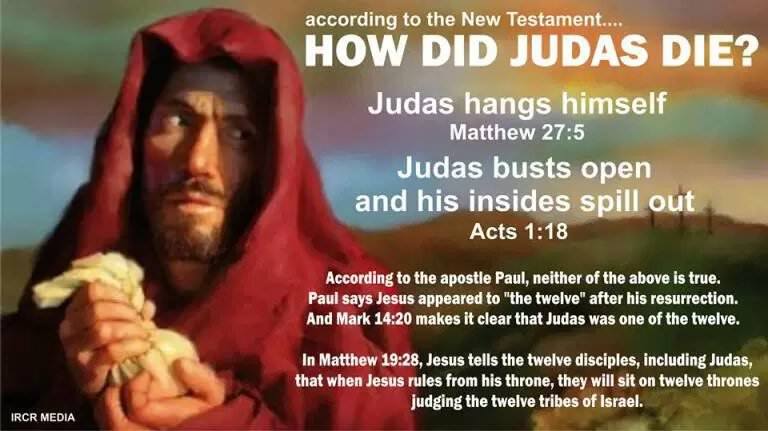 Why would we have to believe and trust on Paul? Christians till this day have not give any reason for that. In other words, let’s say that we met Paul , and he said to us exactly what we find in his letters, why would we have believe in him? Moreover, (the death & resurrection) by itself does NOT prove christianity. This point is very important & critical because I think christians think so, and many muslims are not aware to the defect in this christian approach. Christians need to give evidences for the idea behind the (death & resurrection) of Jesus, which is that God gave his only Son(i.e. the second person in the Trinity) to die as atonement for people’s sins. In other words, let’s say that we met Peter, and he said to us that he believed that Jesus died, and he got resurrected, would that prove christianity? the answer is NO. Why? Because Peter can believe in these things, yet he believed that Jesus is only a prophet like Elijah or John the Baptist whom many people believed about them similar things. This defect has been mention by the great Islamic scholar Ibn Taymiyyah رحمه الله, and from here you can see how stupid when christians keep saying that God is blamed for Paul’s religion!! If God never sent Jesus to the gentiles and if Jesus never propaunded the teachings of original sin and vicarious atonement, why should we blame God for a religion which people later on formulated for themselves?